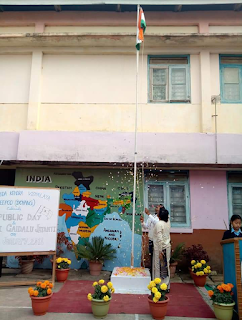 Celebrating 69th Republic day at school and NEEPCO IB. Offering Prayers to the Goddess of Music, Art and knowledge.... Saraswati Maa. 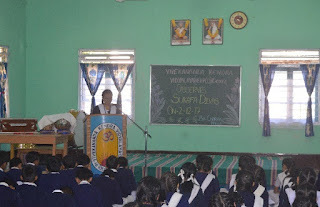 The Samartha Bharat Parva was inaugurated at school by the teacher’s in-charge Sri Rupesh Kr. Singh on 27th December 2017. A speech was also delivered by him on ‘Samartha Bharat Parva’ in a detailed way. 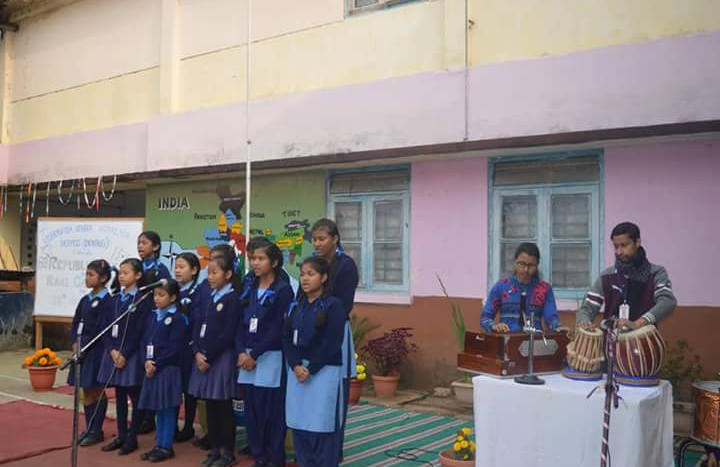 Moreover, a patriotic song was also presented by a group of students from class V on the day. A speech competition was declared open from that day among the students on the topics ‘Contribution of Swamiji on Education’ and ‘Sister Nivedita’s Contribution on Women Education’. Sarada Maa Jayanti which is also known as Matri Divas was observed on 22nd December 2017 at our school. 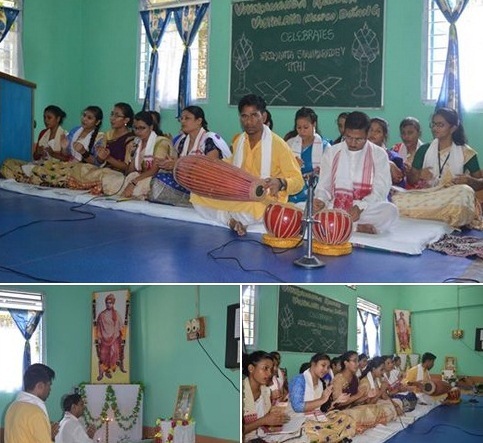 Besides speeches on the life of Sarada Maa by both teacher and student, a bhajan was also presented by a group of students from Class – V on the day. Sukafa Jayanti has been observed at school on 2nd of December 2017. A few programs such as speech deliverance by both teacher and student and a patriotic song sung by a group of students completed the observation. ‘Significant of Gita in our daily life’ was the topic on which Sri Vijay Kr. 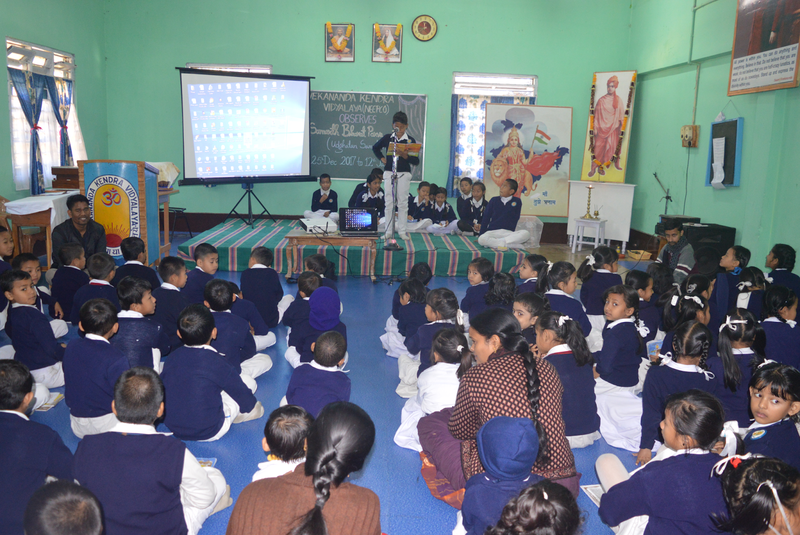 Upadhyay a teacher of the school delivered speech on the day. 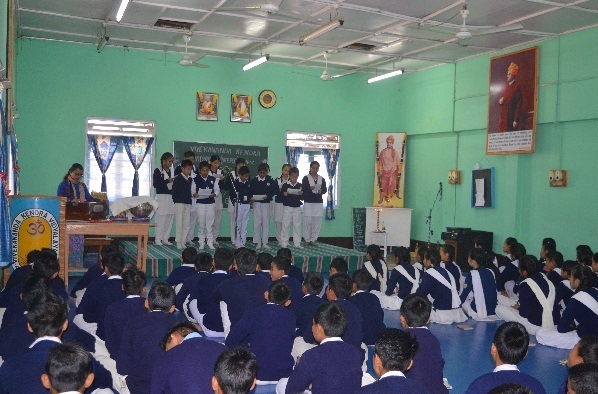 Gita Chanting competition was organized where 82 students took part.Group competition, ( House wise) was also conducted apart from individual competition among student. 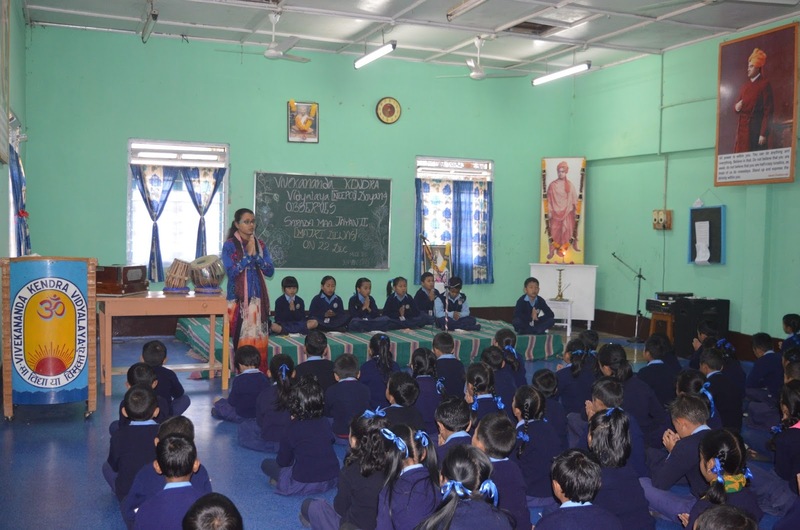 Gita chanting competition amongLKG and UKG students was attractive on the day. The contribution of the great Ahom General Lachit Borphukan was remembered on the day. 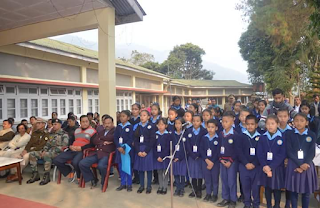 Children presented patriotic song. 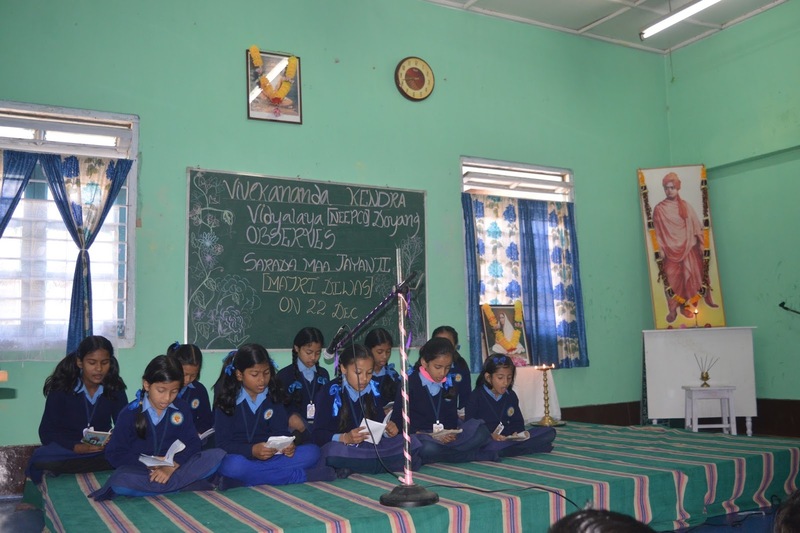 His heroic deeds were discussed through delivering speech by Sri Vijay Kr. Upadhyay a teacher of the school and another speech by a student. Ma.Eknathji was paid tribute on the day. 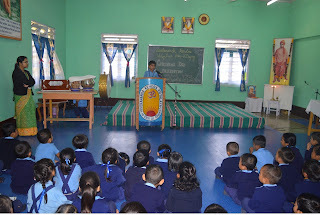 Sri Ram Prowesh Suman a teacher and one student delivered speech on the contribution of the Karmayogi Eknathji. Presentation of patriotic song and Bhajan by children were the programes on the day. The day of children was observed in school as a day of fun and merry making. 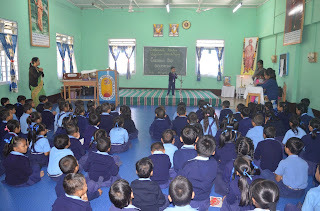 The day became very special for children in the morning when teachers led the assembly. 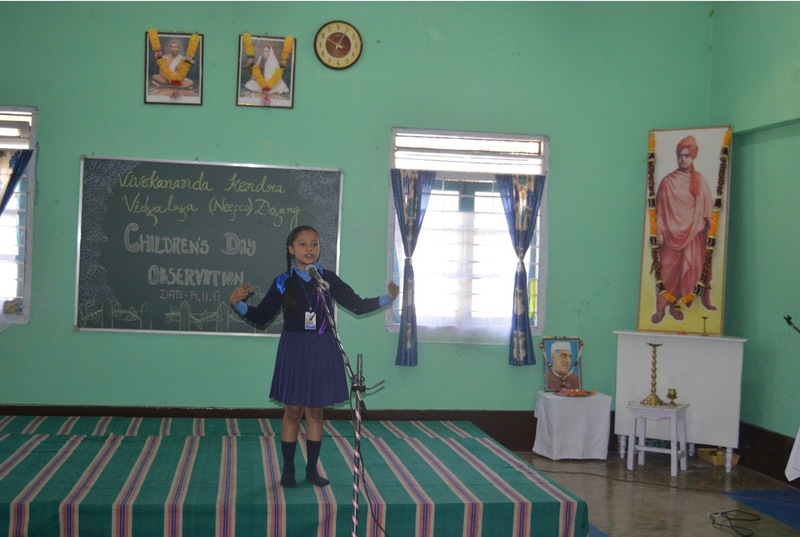 A few competitions were organized among the students of primary section such as rhymes and recitation competition. 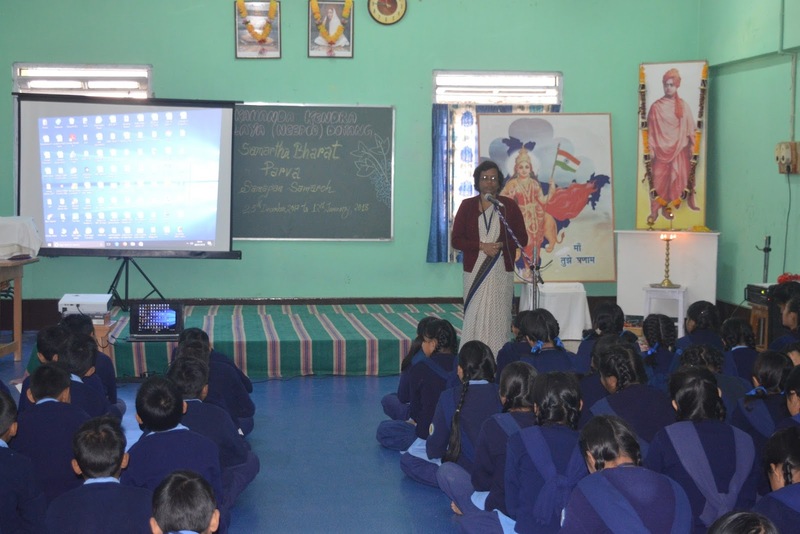 Sister Nibedita was paid tribute by teachers and students in the school on the day on her 150th birth anniversary. A programme was organized in the school. 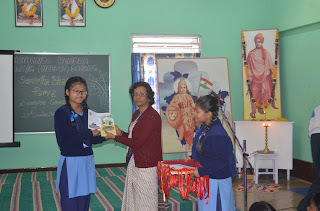 Speeches were delivered by two students and one teacher remembering her contribution to the field of education and upliftment of the Indian society. 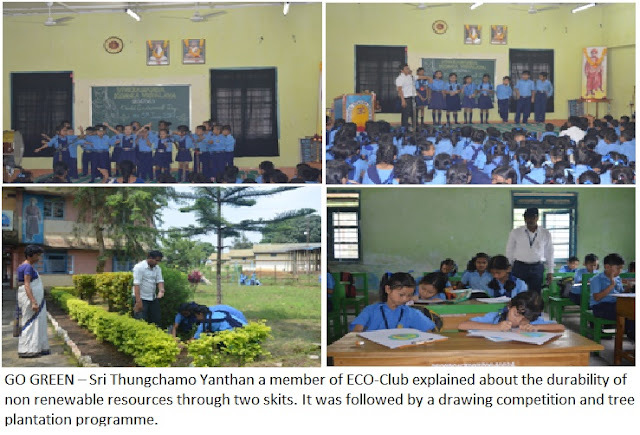 Vivekananda Kendra Vidyalaya (NEEPCO) Doyang celebrates today on 11/09/2017 Universal Brotherhood Day. The programme started with the “Prabhat Ferry” joined by students, parents, officials of NEEPCO, CISF jawans and jawans of Assam Rifles unit, Doyang. 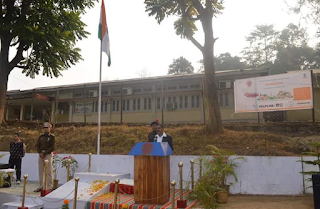 The rally was inaugurated by Sri Pushpendra Kumar, AC, CISF and it was graced by Sri Prasenjit Phookan, HOP, in-charge, DHEP, NEEPCO. It was a humble effort to spread the message of unity and brotherhood commemorating the illuminating the Chicago Address of Swami Vivekananda delivered on the world parliament of religions at Chicago, United States of America in the year 1893 on 11th September. Befitting the occasion the Annual School Magazine “Swati” is released by the Sri Prasenjit Phookan, HOP, in-charge, DHEP, NEEPCO. The day was marked by paying a tribute to the second president of India Dr. Sarvepalli Radhakrishnan on his birthday as Teacher's Day. 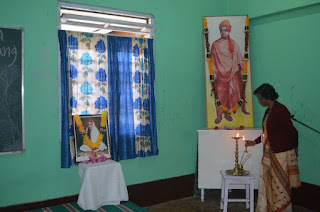 Srimanta Shankardev was worshiped and his teachings were remembered on the day. Teachers and students chanted Borgeet and Dihanam together. Sri Sunil Sharma, Vigilance Officer and Sri Jiten Hazarika from NEEPCO, DHEP graced the occasion as Guest and spoke on teachings of Sri Shankardeva on the occasion. 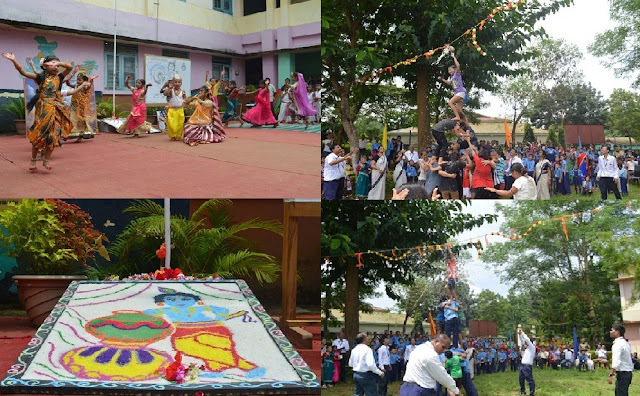 Krishna Janmastami is celebrated with full enthusiasm in the presence of HOP DHEP NEEPCO Doyang, parents, students, guests and teachers. 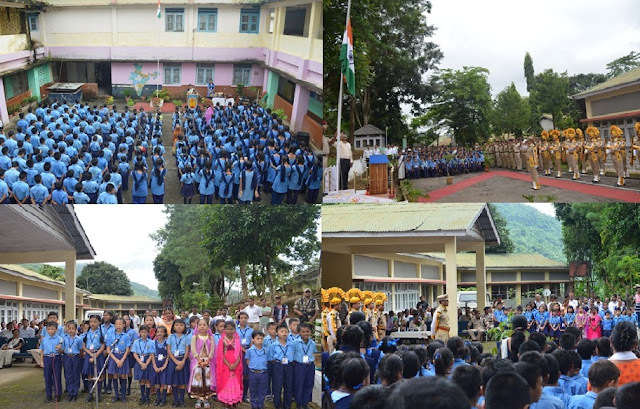 71st Independent Day is celebrated with patriotic fervor in VKV NEEPCO Doyang and NEEPCO IB. Raksha Bandhan was celebrated in and around Doyang. VKV (NEEPCO) Doyang celebrated International Yoga Day couple with the whole world in 21st June 2017 to spread the message of peace and harmony. 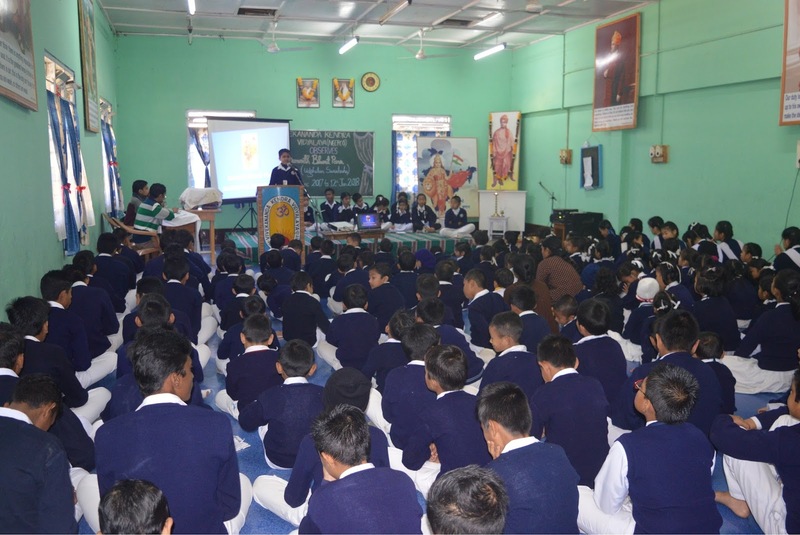 150 students along with the staff practice different Asanas e.g. Suryanamaskar, Brikshasana, Trikonaasana, Bhujagasana, Pawanamuktaasana. 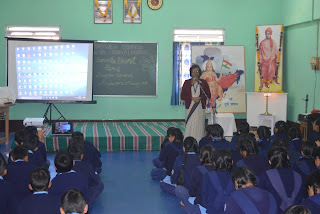 The Principal of the school spoke on significance of the day and importance of practicing Yoga in childhood. Finally Yoga practice ended with Prayanama and Meditation. 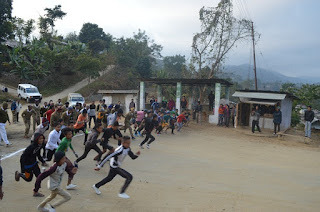 The programme was concluded with the ‘National Song’ presented by all. Sri Nayan Borkataki one of our teacher guided and joined Yoga practice with the NEEPCO and CISF employees as instructor in the NEEPCO Recreation Hall, DHEP, Doyang. 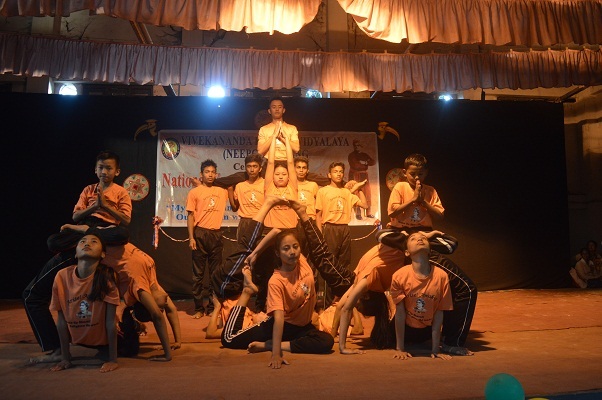 A group of our students also demonstrated Yoga in NRC on the day. 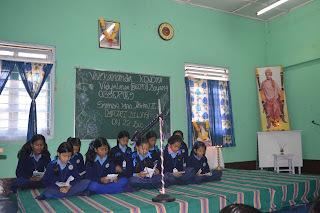 On the day Kabiguru Ravindranath Tagore was paid tribute by the students and teachers of the school. Gurudev’s contribution was remembered through a brief cultural function where students presented Ravindra Sangeet and a small skit. Smt. Deepa Dasgupta a teacher of the school and Km. Jellina Borgoahain a student Class – IX delivered speech on his contribution to Indian culture and literature.